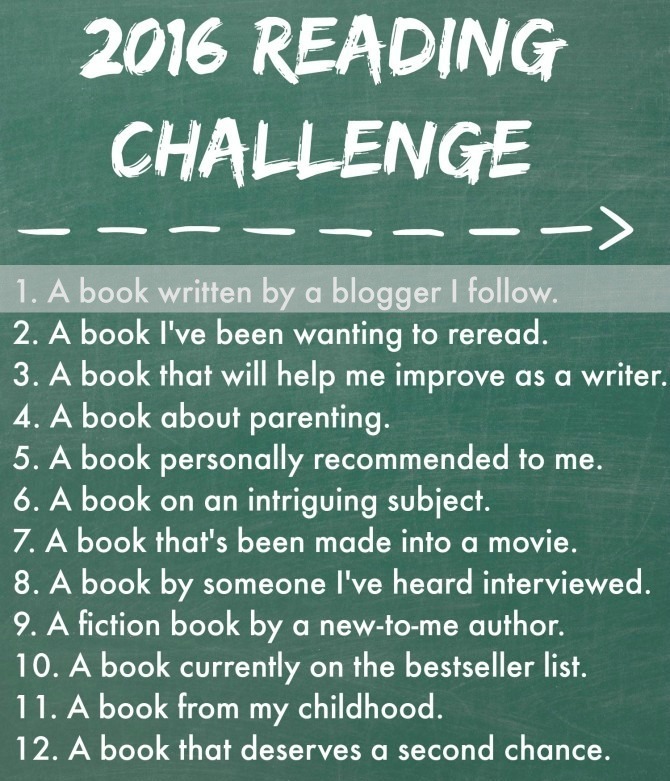 2016 Reading Challenge: A book written by a blogger I follow. Fifteen years ago, if you had told me that I would one day spend a portion of every day reading the random musings from a handful of strangers, I would have thought you were crazy. Back then I didn’t know what a blog was, and even if I had, I wouldn’t have been at all interested in reading one. But then a friend started a blog. I opened a Google Reader account so I could stay up to date with her writing, and soon I had fallen down the rabbit hole that is the blogosphere. 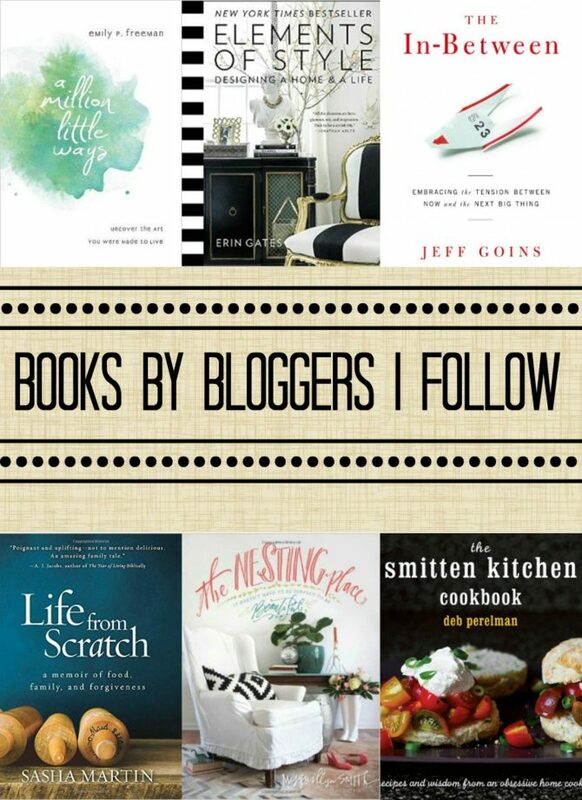 Today, I am an enthusiastic reader of many blogs. And after reading about these bloggers’ lives on their sites, seeing their pictures on Instagram, and responding to their questions and quips on Twitter, I feel like I actually know many them. But there is one way that I haven’t taken full advantage of these bloggers’ content: many of these online writers have published books that I have never read! Which is why I made it a goal to read at least one book this year by someone whose blog I follow. Tsh Oxenreider was an easy pick as a blogger whose book I would read for this category. 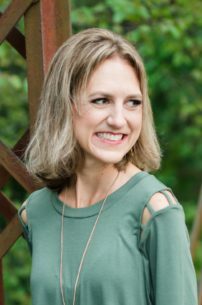 I’ve followed Tsh’s blog since the days when it was called Simple Mom, and her podcast has been a favorite for years. In fact, many of the blogs and podcasts I enjoy today first came across my path as a result of Tsh’s work. 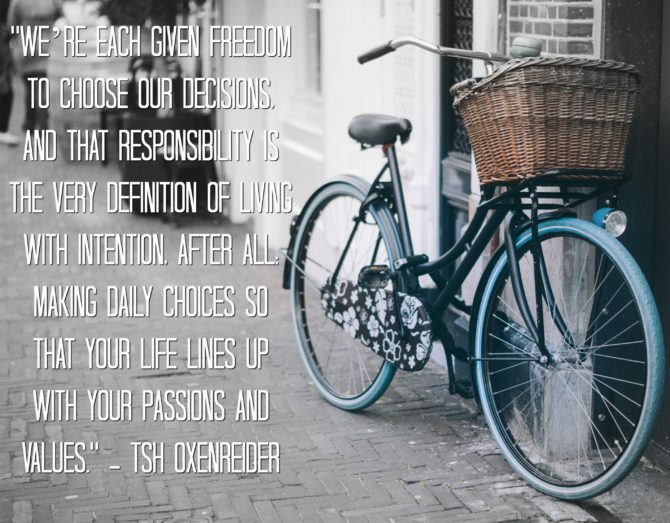 Tsh is a strong advocate for simple living—which she defines as “living holistically with your life’s purpose”—and this message of intentionality serves as the central theme for her book Notes From a Blue Bike. Part memoir, part tutorial, Notes From a Blue Bike isn’t an easy book to summarize. In her prologue, Tsh describes it this way: “This book is about us living life instead of life living us—one small choice after another, day after day, month after month, year after glorious year. It’s about living with intention.” Tsh and her young family of five have certainly done just that. Whether living as expats in Izmir, Turkey, or driving a minivan in Bend, Oregon, the Oxenreiders have lived out a relentless quest for simplicity and intentionality, paddling upstream within cultures that rarely have aligned with their values. Tsh is a strong storyteller, expertly utilizing anecdotes from her (fascinating!) life to illustrate one family’s efforts to live intentionally. In blog post-like chapters dedicated to food, work, education, travel, and entertainment, Tsh elaborates upon her personal values related to these issues, then describes with refreshing honesty the ways in which her family has or hasn’t acted upon these values at various points in their journey. 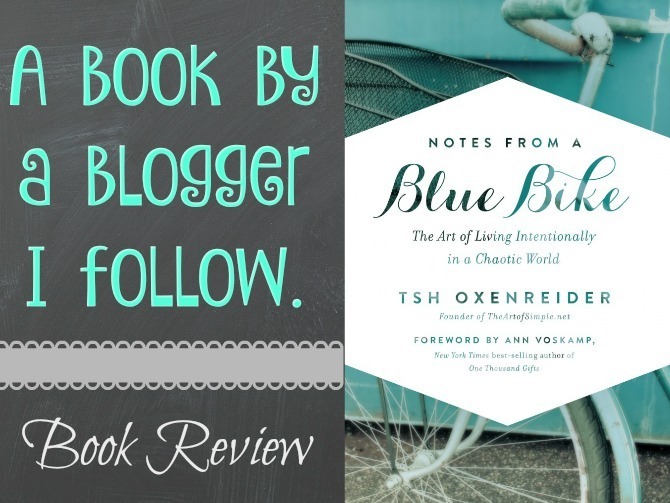 For a book from a Christian author and publishing company, I was surprised how infrequently God made an appearance in the pages of Notes from a Blue Bike. Tsh’s faith isn’t absent altogether, but it definitely could have played a more prominent role in both her value statements and recommendations. My other qualm with the book was the occasional condescension (which is not something I’ve sensed from Tsh in her podcast or blog). I might have attributed this perception of arrogance to nigglings within my own conscience if this off-putting tone hadn’t also been mentioned by other reviewers of the book. These reservations aside, I truly did love Notes from a Blue Bike. I was captivated by Tsh’s engaging stories and inspired by her practical wisdom. This book aligned perfectly with my year’s theme of living a life of integrity and values-based intentionality. 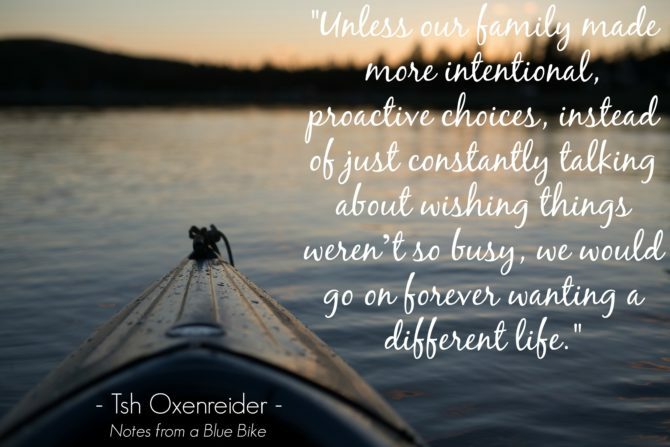 The Oxenreider family showed me that this sort of intentional living is attainable and worthy of being pursued. Throughout the book, I found myself highlighting passages to share with Luke, and together I would like to work through the meaty discussion questions at the end of the book to help us clarify our own family values and develop a plan of action. In her forward to the book, Ann Voskamp writes, “Simplicity is never a matter of circumstances; simplicity is always a matter of focus. And Tsh’s focus is laser clear and defiantly simple: Live the life you long for. Period.” I’m so glad that Tsh chose to share this model of simple living in her book.